Today I’m on the last leg of a road trip that has lasted 22 days and will cover more than 4,000 miles in 13 states. While there were plenty of interesting moments (my first wasp sting ever on a shoot in West Virginia—nothing a little “hillbilly medicine” couldn’t fix) , but the first night of the trip was the most memorable. I finally got to tour where they shot part of The Shawshank Redemption in Mansfield, Ohio. You know, the big castle fortress seen the the background of the photo below. 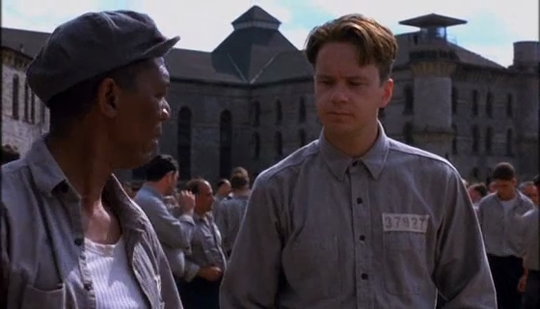 While some of the old prison was knocked down and some of the movie was shot on beautifully replicated sets, a large part of it is still standing at Ohio State Reformatory in Mansfield, Ohio. And in the summer time you can tour the prison. 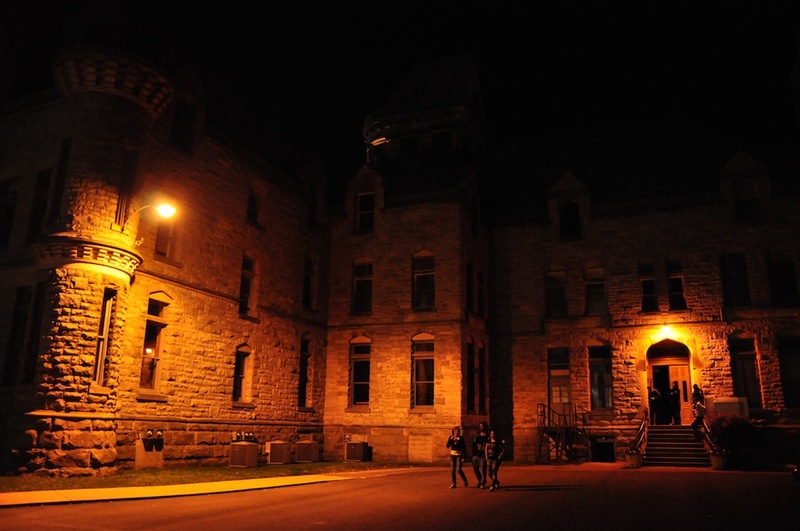 But for Halloween this year they had a Haunted Prison Experience that I was able to do. It was interesting to walk around the prison at night and imagine what it would have been like to be incarcerated there 100 years ago. You’re not allowed to take pictures inside, but take my word that that place is creepy. Cleveland architect Levi T. Scofield designed the Ohio State Reformatory using a combination of three architectural styles; Victorian Gothic, Richardsonian Romanesque and Queen Anne. This was done to encourage inmates back to a “rebirth” of their spiritual lives. The architecture itself inspired them to turn away from their sinful lifestyle, and toward repentance. This grand structure is comprised of more than 250,000 square feet and houses the world’s largest free-standing steel cell block.